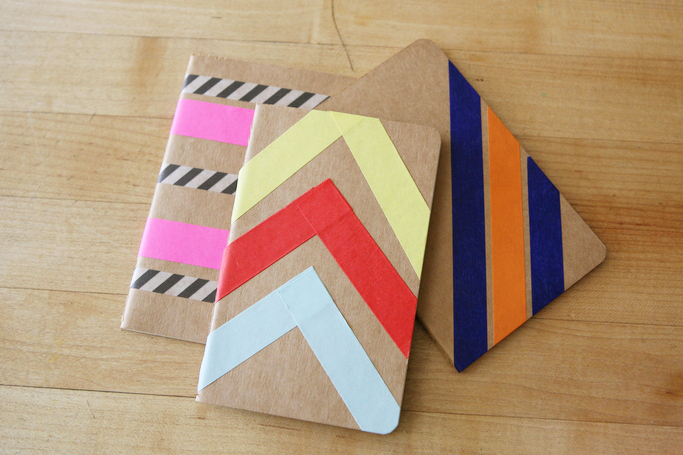 Pinterest Inspired DIY Washi Tape Notebooks — my.life.at.playtime. I love perusing Pinterest for neat and easy projects, especially ones with supplies I already have in my home. These would make awesome gifts as well. For this fun and easy project all you'll need are some notebooks, I chose Moleskines, scissors and some washi tape. Now it's just a matter of getting started. I liked tucking my tape in under the covers a bit to keep it from lifting.